Jason Bontrager has been the senior pastor of Legacy Church since 2011. 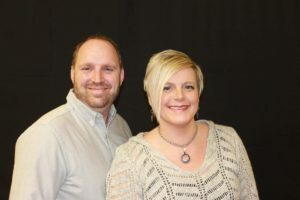 A life long resident of Salem Indiana, Pastor Jason has been in the ministry since 1995. He served as a Youth Pastor for 16 years prior to taking his current position. His passion is to empower the body of Christ, releasing them to their full potential in their gifts and callings in the kingdom of God and to establish the body of Christ in the love of God and His amazing grace! Jason is married to Erin, whom he met while planning a youth conference. They married in 2000 and have four children: Lydia, Zephaniah, Judah, and Caleb. He enjoys spending time with his family and friends, golfing, and gaming.